Okay! This is it! Great remodel with special touches throughout. New carpet and flooring, new front door and porch rails. New roof, gutters, siding, exterior paint, double pane windows and blinds. New kitchen includes 40" cabinets including a great pantry with pull-out drawers, farmhouse sink and new appliances. New paint throughout, new panel doors with 4 complementary ceiling fans. Two brand new full bathrooms. The awesome patio door has blinds between the panes. You'll absolutely love the backyard. There is a large deck and several areas for gardening, seating and perhaps a pond or two. Great rock groupings throughout the property. 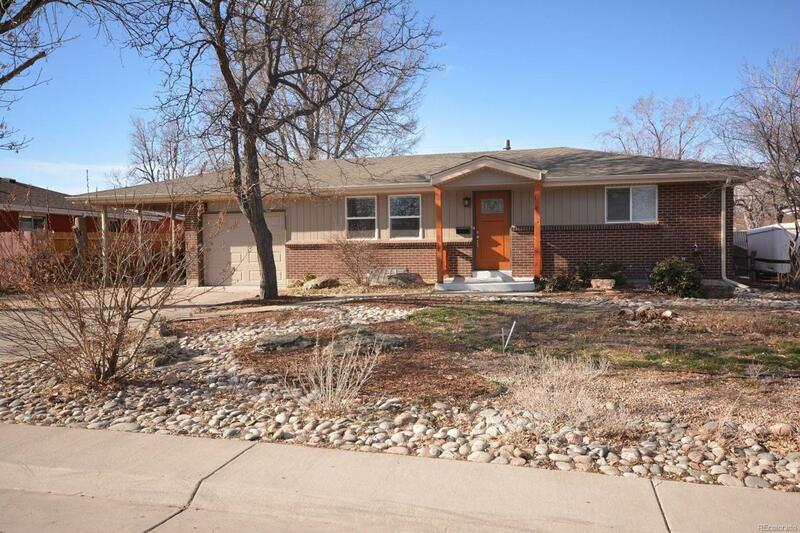 Wonderful Arvada location near Highway 36. Listing Agent is related to the Seller. Offered by The Denver New Home Store Inc.